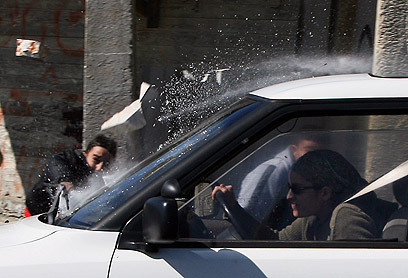 Stoning Jews in their cars. Rabid animals. A senior member of the Muslim Brotherhood and newly anointed Egyptian lawmaker warned Monday that the revolutions that have recently been sweeping the Middle East will also reach Iran. Essam al-Arian, the head of the Foreign Affairs committee in the new Egyptian parliament, said that Egypt must examine how it could lead the changes in the Middle East, known as the Arab Spring, which he said would also reach Iran. Al-Arian’s comment marked the first time an official representative of the Muslim Brotherhood spoke openly about a possible uprising in Iran. There was also harsh criticism in the Foreign Affairs committee meeting in Egypt’s parliament over Egypt’s approval for two Iranian ships to pass through the Suez Canal. Al-Arian responded to the criticism, saying that Egypt is tied to international treaties and therefore could not prevent the passage of the ships. 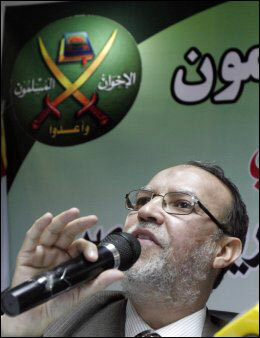 This Muslim Brotherhood position fits with their ideological stance, which sees Shia Islam as an unwanted denomination, and also fits their political stance, which sees the Egyptian uprising as a product of Egypt that was meant to remove Mubarak’s dictatorial regime, and not part of an Islamic revolution, like Iran wants to present it. 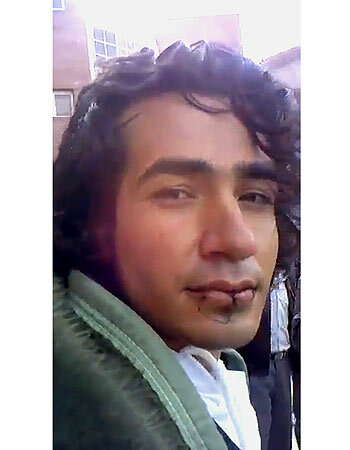 Dariush Jalali, a student at Yasuj University in southwest Iran, has reportedly been arrested after he had sewn his lips shut to protest the pressure he had been facing over his political activism. Weep for this sweet little boy. “New Democrats are disappointed by the decision of the Conservative government to arbitrarily terminate funding for settlement services at Palestine House. Organizations like Palestine House provide essential services to help newcomers adjust to life in Canada. “Palestine House settlement services have been funded continuously by Citizenship and Immigration Canada for over eighteen years. They have helped thousands of New Canadians in the Mississauga community with programs to help with language training and skills development. Importantly, these clients come from all corners of the world, from all faiths and backgrounds. “Given the high quality and success of its programming, it’s clear the Minister cancelled this funding for political reasons, all of which have turned out to be spurious. And it’s the communities that rely on these services that are hurt most by this kind of interference. The Minister must stop playing politics and reverse his decision.